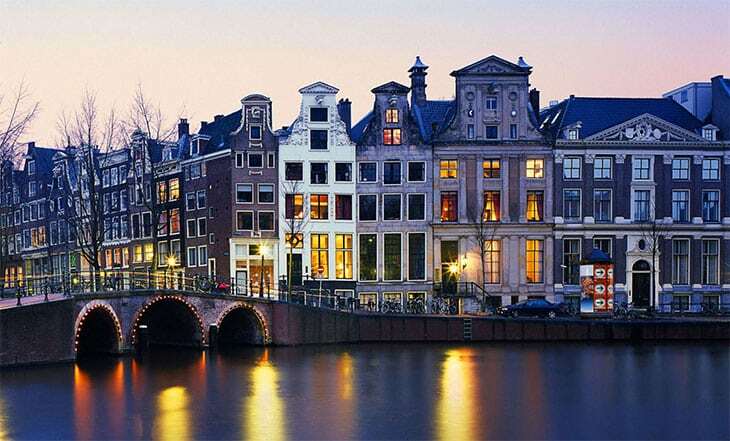 “Amsterdam, capital of the Netherlands, has more than one hundred kilometers of grachten (canals), about 90 islands and 1,500 bridges. The three main canals (Herengracht, Prinsengracht and Keizersgracht), dug in the 17th century during the Dutch Golden Age, form concentric belts around the city, known as the Grachtengordel. Alongside the main canals are 1550 monumental buildings. 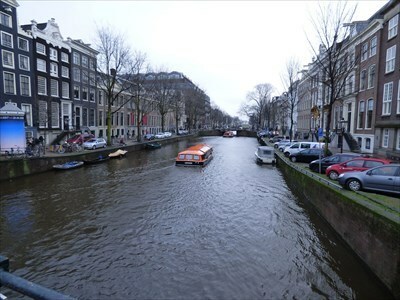 The 17th-century canal ring area, including the Prinsengracht, Keizersgracht, Herengracht and Jordaan, were listed as UNESCO World Heritage Site in 2010, contributing to Amsterdam’s fame as the “Venice of the North”. Much of the Amsterdam canal system is the successful outcome of city planning. In the early part of the 17th century, with immigration rising, a comprehensive plan was put together, calling for four main, concentric half-circles of canals with their ends resting on the IJ Bay. Known as the “grachtengordel”, three of the canals are mostly for residential development (Herengracht or ‘’Patricians’ Canal’’; Keizersgracht or ‘’Emperor’s Canal’’; and Prinsengracht or ‘’Prince’s Canal’’), and a fourth, outer canal, the Singelgracht, for purposes of defense and water management. Who knew this was Amsterdammers’ favourite four-legged animal? 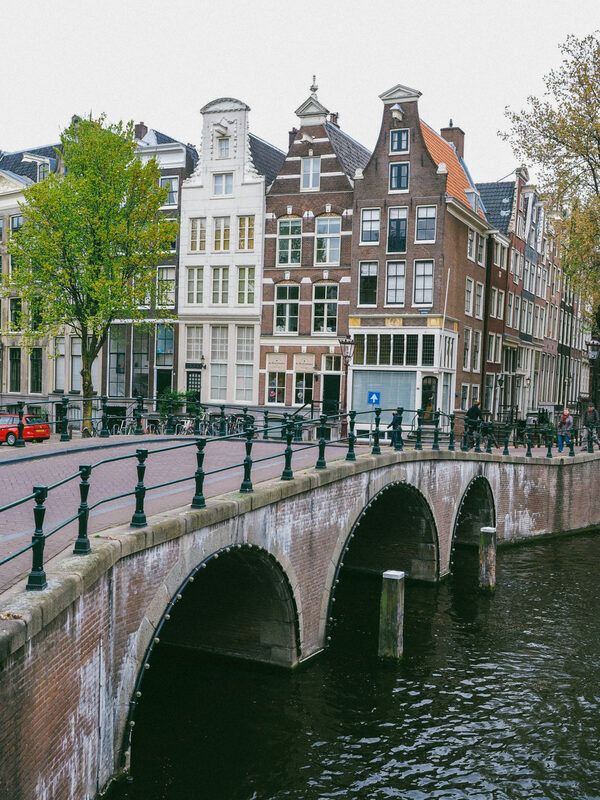 Amsterdam may not be the biggest city, but it’s impossible to see it all in just one trip thanks to its hidden corners and quirks, once-a-year events and sheer volume of culture. It really is the city that keeps on giving. Go armed with fascinating titbits, impress your friends or finally take home that pub-quiz trophy with these things you probably didn’t know about Amsterdam. That’s about 60 miles (nearly 100km) of very clean water. It’s so clean, in fact, that Artis Zoo allows its elephants to drink it unfiltered, and the city’s authorities plan to make it even cleaner, so people can swim in it. 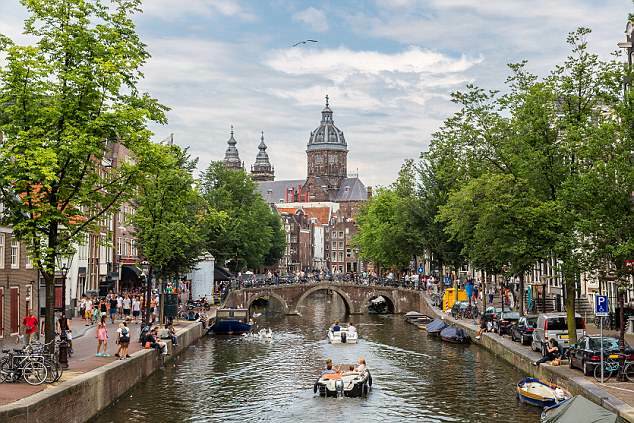 The three main canals are Herengracht, Prinsengracht and Keizersgracht, all dug in the 17th century during the Dutch Golden Age to improve the city’s trade and transport system.